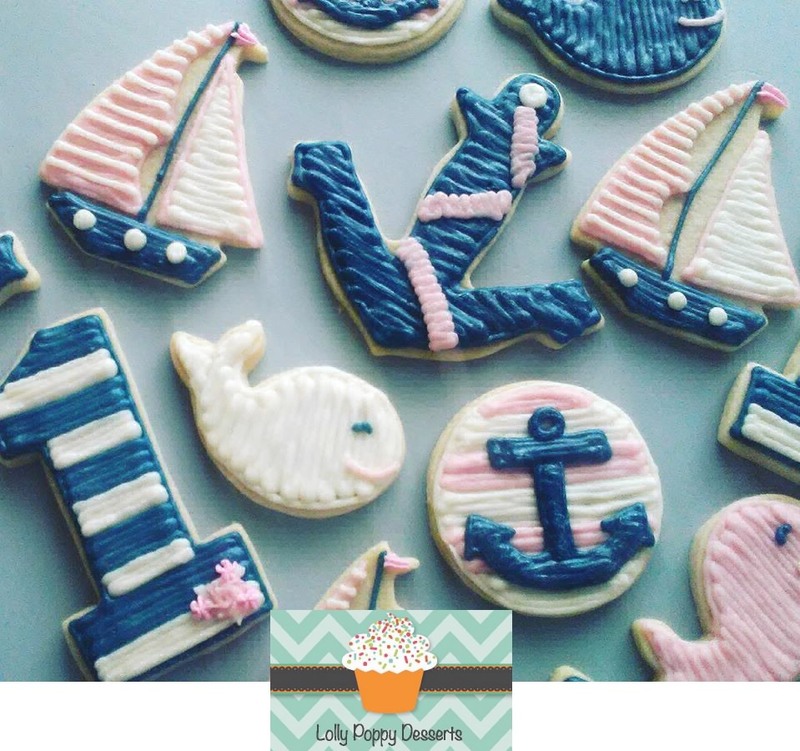 Decorated dozens of nautical cookies for a baby shower. Sailboat, Anchor and the number 1. Frost a tray of Summer Cookies. 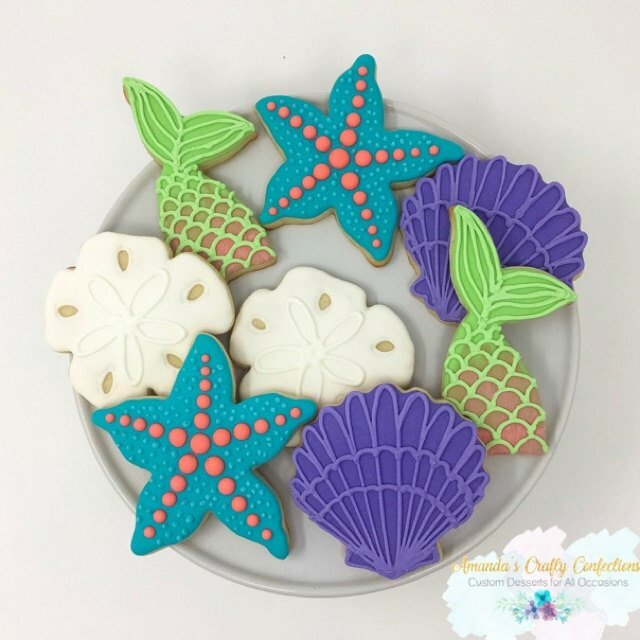 Use our gel paste food coloring to create the bright colors of summer. 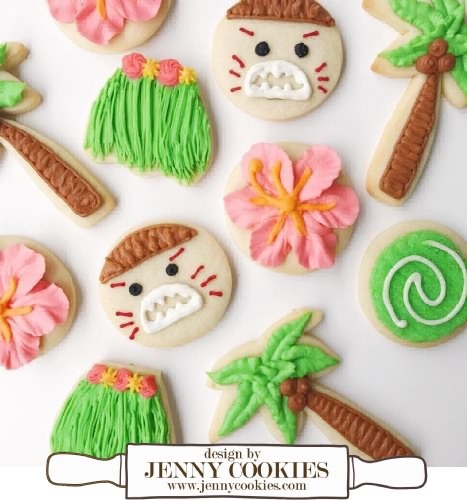 Use raw sugar to create a sandy beach look. 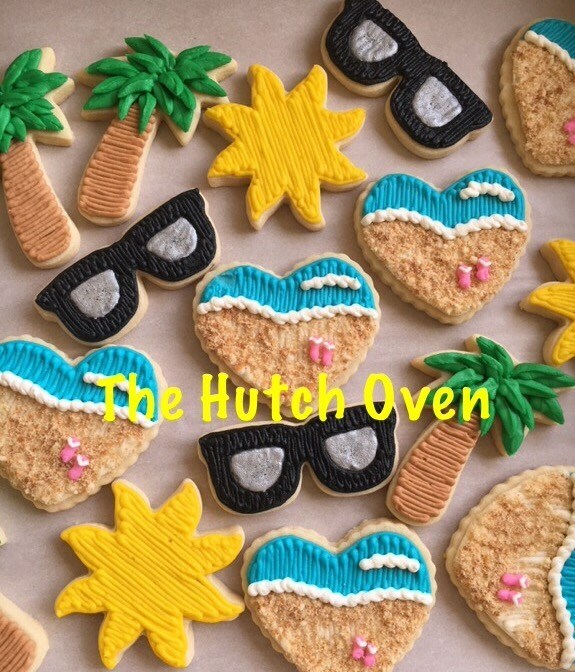 Have the palm tree cookies standing up in it. 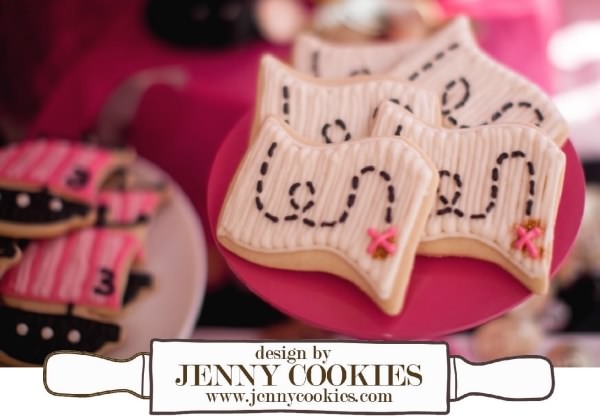 Use our Pirate Ship and Scroll cookie cutters to draw the perfect treasure map for a Pirate birthday party. 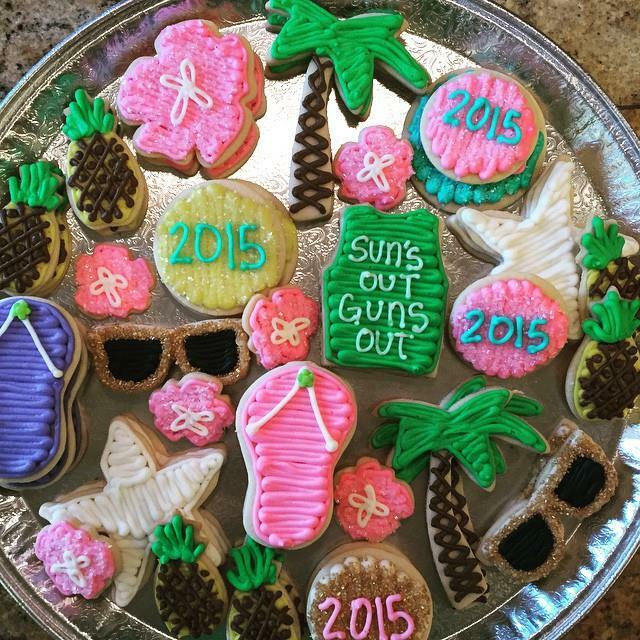 Cookies are decorated using a #4 tip for outline and small details and a #7 tip for the bulk filling. The treasure at the end of the map is a pinch of edible gold glitter dust. 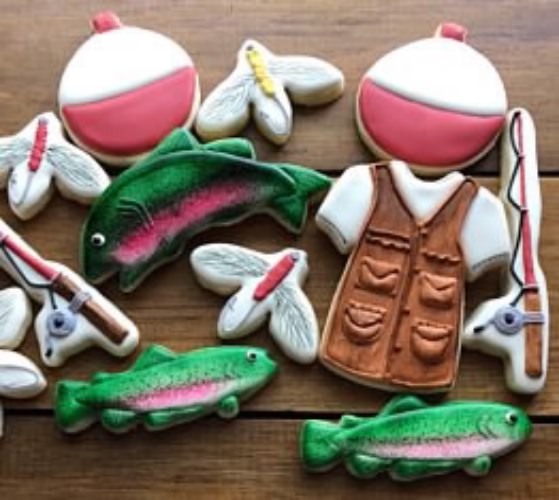 To gain the perfect white and black frosting use our gel paste food coloring. 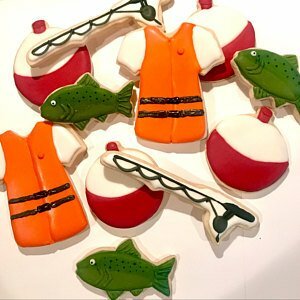 They don’t create a bad taste. When you make the black, I find letting it sit a little before putting more in is best as it will darken as it sits for a while. 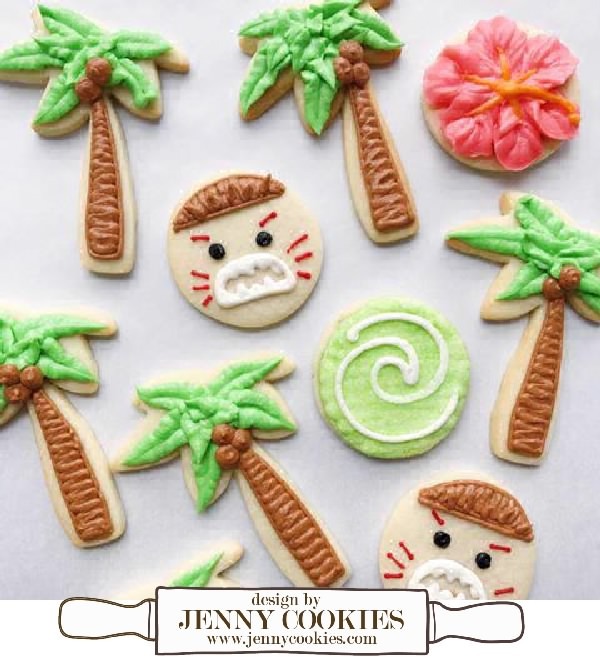 Luau Hawaiian Party ~ Frost Palm Tree Cookies with little coconuts. 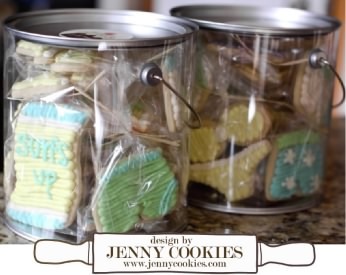 Fill buckets with frosted bikini bathing suit and swim trunk cookies for a fun summer party. 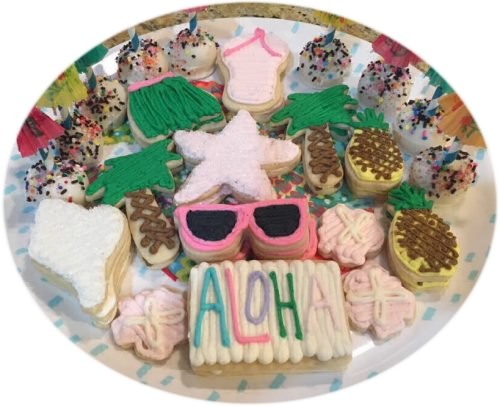 Frost a tray of Beach Cookies ~ Palm Tree, Pineapple, Sunglasses, Sea Shell and Flip Flop Cookies for an Aloha Hawaii party or vacation. 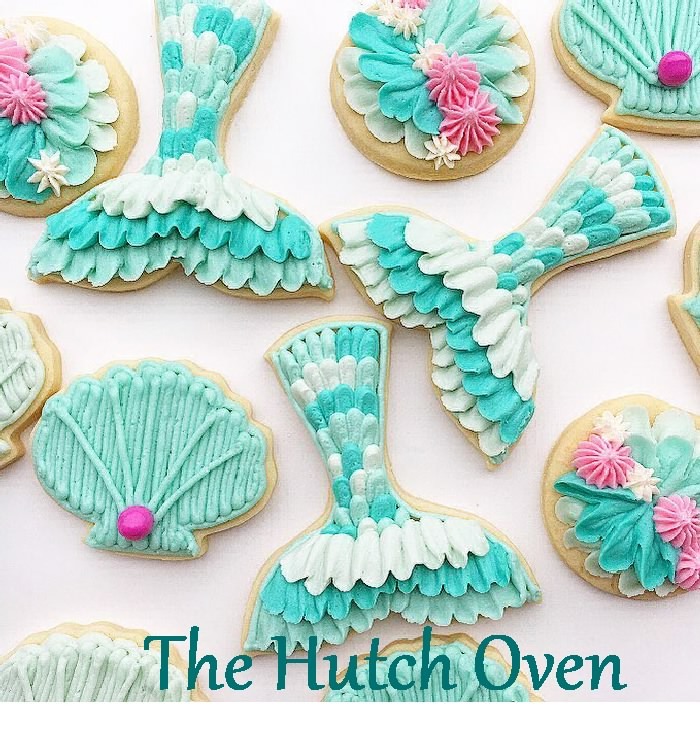 Perfect Bridal Shower Cookies. 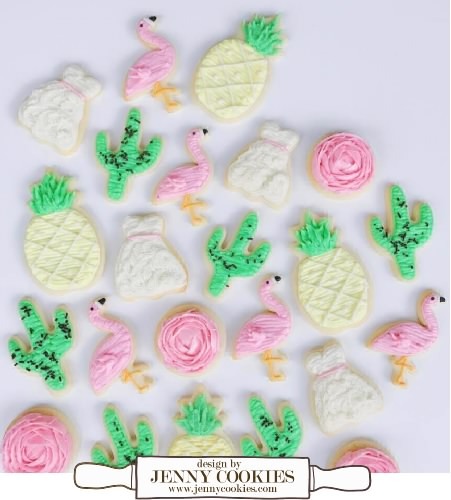 Decorate Pineapple, Wedding Dress, Flamingo and Cactus Buttercream Cookies. 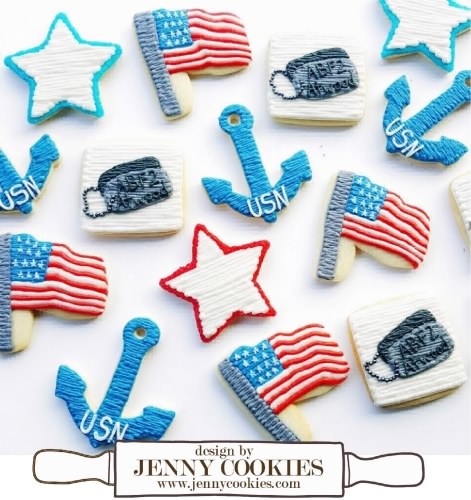 Frost US Navy cookies for your military loved one. 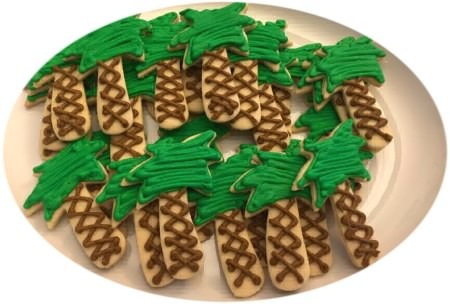 Frosted Palm Tree cookies for this spring and summers Luau Parties.